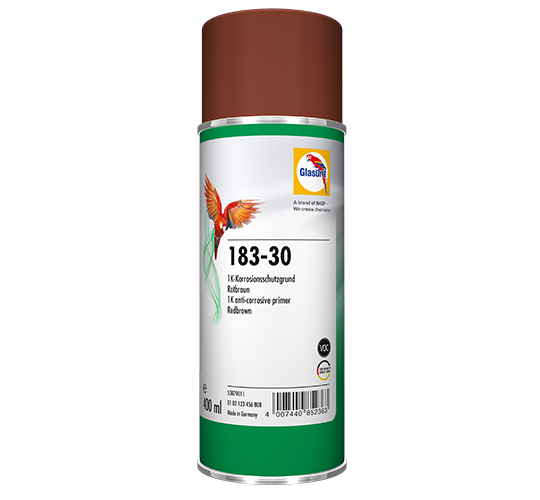 The 183-30 Anti-corrosive Primer gives bare metal substrates reliable protection against rust – quite simply and at the push of a button. After the rust removal stage and before the final refinish work, the primer in the practical spray can is always at hand for prompt application. The primer is ideal for all tasks that necessarily involve welding and is suitable as an adhesion promoter in standard paint systems.